Corn silage season has officially ended around here. Time to clean up the chopper and get the trucks ready for combining soybeans. The pile is all tarped up and it feels good to be moving on to the next portion of harvest. Now, this post is a repeat from a few years ago, but I used to it last year as well because it explains corn silage and it also contains the first video I ever made using my Flip cam! Woo hoo for me! 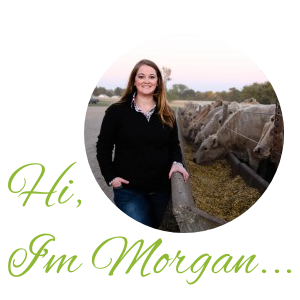 First, to explain a little bit about corn silage I am pulling this blog from over at South Dakota Corn’s blog. They did a great job of explaining the purpose for corn silage. And plus, they are a great resource for more information about corn. Late August and early September, or when the corn fields start turning from green to gold usually marks the start for corn silage season in South Dakota. Chopping corn for silage is a very popular practice, especially among cattle feeders as silage contains high energy nutrients and is easily digestible. Corn silage is ideally harvested when the corn ears are well-dented and the plant begins to turn brown and dry. Late cut silage that includes brown and dead leaves will produce a quality feed, but will yield as much as 30% less. As the corn is chopped, the plant is still alive as it continues to breathe producing carbon dioxide and heat. When the plant cells stop breathing, the plant begins to ferment and will continue for around three weeks while the silage preserves. The less air reaching the corn silage the better, as it’s important to properly cover the pile or fill the silo with temperatures between 80-100 degrees Fahrenheit. Properly packed and heated silage will have a light-green to yellow color with a vinegar type odor. We just got done yesterday here in IN. So glad that’s over! Happy Harvest! WooHoo! I agree, so glad it’s over! 🙂 Same to you!